For those of you who have been following me online for the past month or so, or have seen me in person during that time, you know I’ve been entered in ZOOMA’s Run to Napa contest for a chance for myself and a reader to win a trip to ZOOMA’s Women’s Half Marathon in Napa, CA in June. I appreciate every single vote, especially those who have gone out of their way to vote every day, and wanted to shine a little light on why this matters so much to me. Here’s the thing. You all know I haven’t been a runner my whole life; in fact, that couldn’t be any further from the truth. I’ve been an athlete, I’ve been a couch potato, I’ve been everything in between…but I’ve never been a runner. Until now. Now, I am a runner, and what I’m doing now has everything to do with what ZOOMA stands for. When looking for organizations to support, brands to become more involved with and communities to become a part of, ZOOMA stood out to me. The reason why is simple. The mission and core values of the organization are all about inspiring women to live happy, healthy and active lives. BAM. That hit me and stays with me every day, in every single thing I do. From 8 or so years ago up until 2 years ago, I dug myself into a hole. I became inactive and satisfied that that level of inactivity was my life, that my circumstances were beyond my control and that I needed to settle for who I was. It’s ironic because during that time I was dating my now-husband, John, a collegiate distance runner. I’d go out to his races, wonder what would possess people to take part in that level of activity, and would immediately write it off as something I was not meant to do. I lost track of me; of what mattered, of what drove me and of future aspirations. I became a product of my choices and had excuses for every single side effect. “I had a terrible injury, the doctors told me I couldn’t compete at a high level.” “Ya know, weight, it’s a genetic thing…” “I’m just big boned, I’m not meant to be tiny,” you name it, I could combat it. During that time I lost track of self esteem, of my goals, and of the fact that I mattered. To compound it, I became a mom; those boys are two of the best things that ever happened to me, but they also became part of my excuse…”What kind of mom has time to work out?! Not me! Hahaha.” You get the idea. But then it happened. As I mention in my own story…an elementary friend of mine lost a long and inspirational battle to a rare form of cancer. In her memory, we held a 5k. My husband competed, but I was in no shape to even walk a 5k, let alone race in front of my high school friends. No way. But, then the day came. As I watched runners of EVERY level cross that finish, I was inspired…something clicked. That was it. 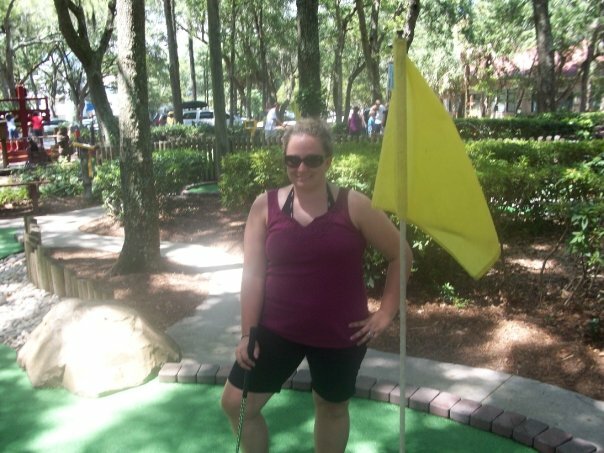 I went home and signed up for a half marathon (I never do things part way…I jumped in head first). 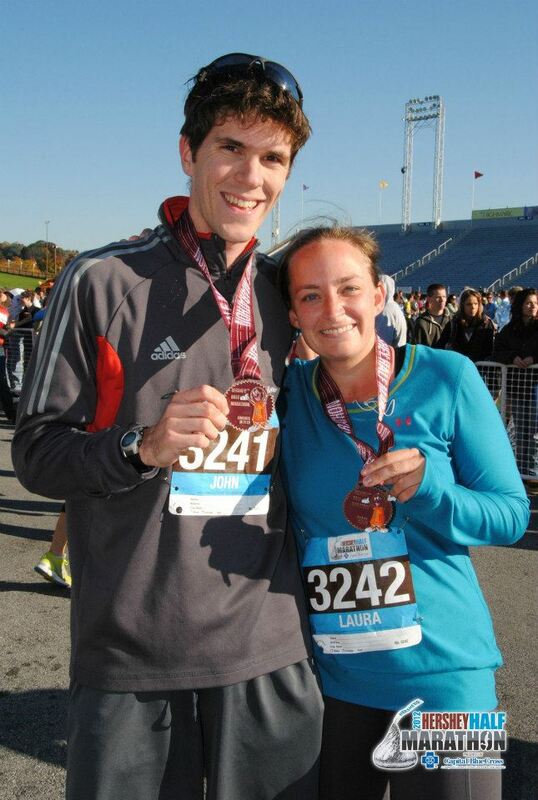 A few 5k’s and so on…but that Half Marathon, the Hershey Half Marathon, was what it was all about. The day came and I’d never been more nervous or excited about anything…I cried at the start and lost it at the finish. No one could take those miles away from me…that race was about me pushing every excuse I’d ever made to the curb and climbing out of the hole I’d put myself into…Running Changed Everything. Since then, I’ve come a long way. 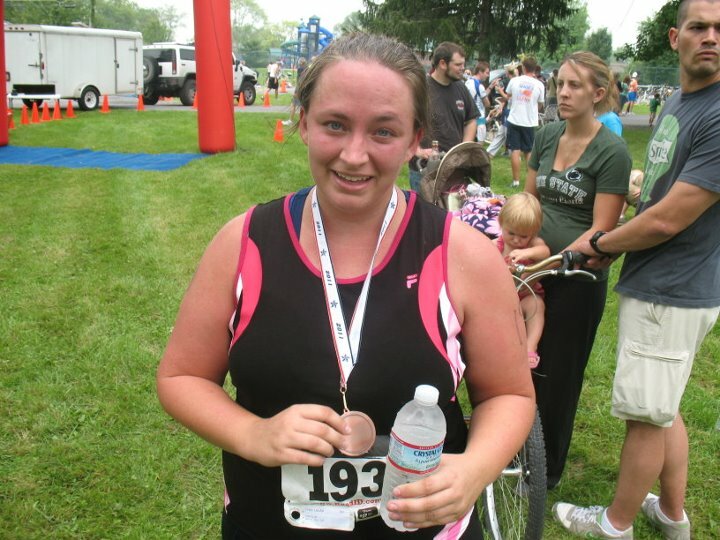 I’ve started to share my story, because, like ZOOMA, I want to help inspire runners. I’ve been at both ends of the spectrum…from wondering if the wrong things were showing the wrong way in my running clothes or if I was breathing too hard to winning medals…I get it. I try to encourage women to find what drives them, what gives them focus and what allows them to truly live and experience life to the fullest and to go after it with everything they have. To me, running has done it. ZOOMA’s mission has been a driving factor in my life. Because of this, I’d appreciate the opportunity to Run to Napa and to cheer someone else on as well. This opportunity is like no other. Thanks to each and every person who has voted so far…daily voting continues until February 24. For those who are just finding out, please take the time to join in; this mission is something I stand behind wholeheartedly. You can vote by clicking on the photo below or by visiting my Facebook page. Let’s run to Napa! Running for Rachel: Who’s Ready for a 5k? !